Capt. 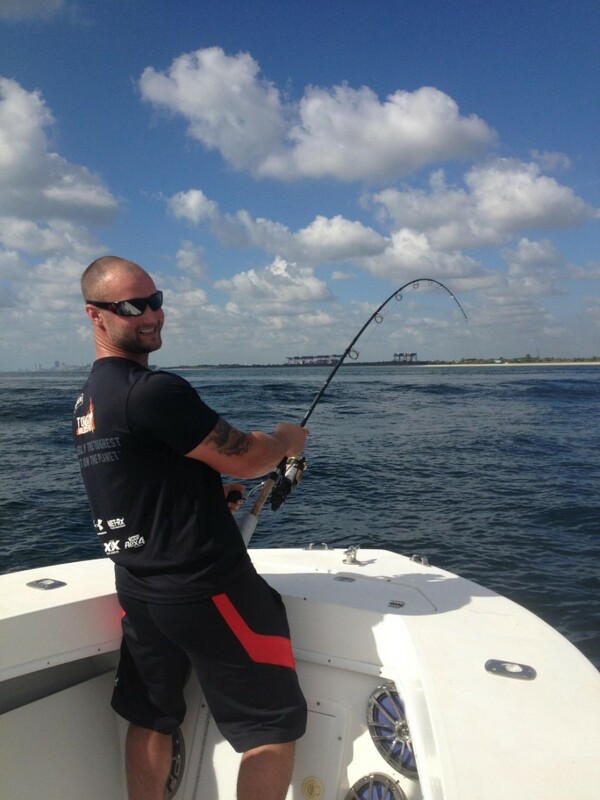 Robert is having a great week on the 26ft center console fishing the InterCoastal Waterway of Fort Lauderdale. Snook season just opened up for us as of September 1, so we’ve been doing quite a bit of snook fishing in the ICW. This is the best year on snooks I have seen in a long time. We’re catching them on live pilchards, mullet and shimps along the sea walls that line our inshore canals. We have some secret spots, which I can’t divulge, but most spots are holding some snooks. 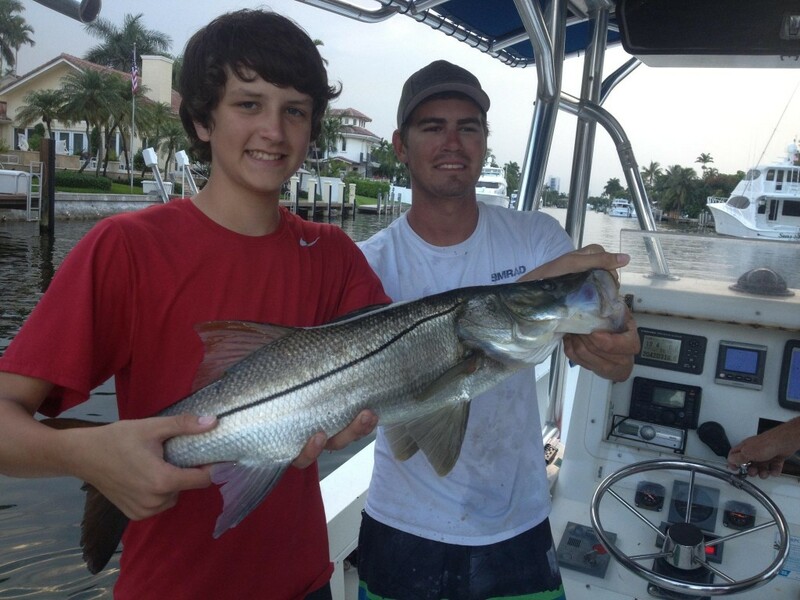 September is traditionally a good month for snook fishing, after a 3 month closure period during the summers months. These fish aren’t hook shy like they will be 6-7 months from now. We’re getting an aggressive bite once again from these fish. Tarpon too, are biting good in the inshore waters of Ft Lauderdale. First off, we have tarpons all around our docks every day. We don’t fish for these ones around our dock, as we consider these tarpon our pets. They eat a lot of the fish scraps we throw over at the fish cleaning table when cleaning our catch at the end of the day. However, this is a good indicator on how many tarpon are in our local waters. 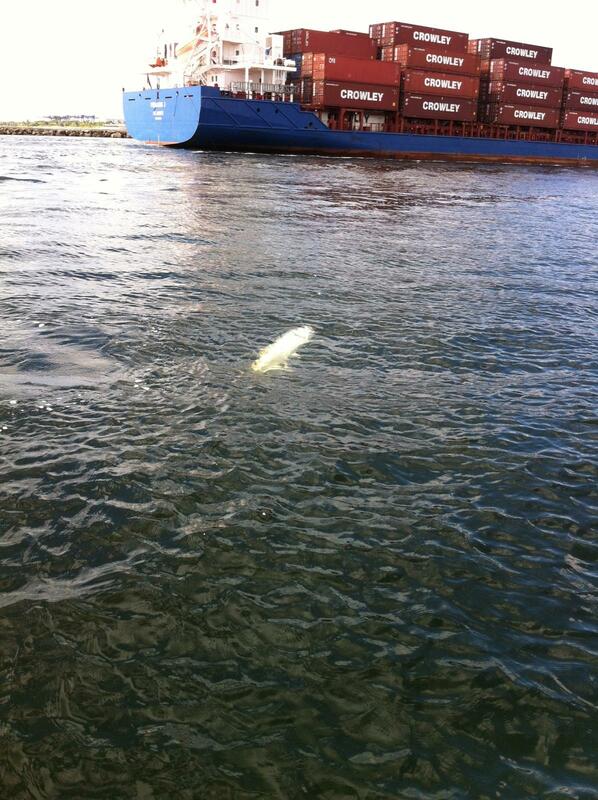 We’re catching a lot of tarpon in Port Everglades, right at the mouth of the inlet around the jetties. Tarpon are strictly catch-and-release, but man are they fun to catch. No other fish fights with as much vigor as tarpon do. And that we catch them on light tackle makes them even more exciting. Barracudas, jack crevale, mangrove snapper, goliath grouper and sharks are all fish you can also potentially catch while tarpon fishing the shallow waters of the Fort Lauderdale Intracoastal. Good luck everyone, catch ’em up! Huge wahoo and a whole rack of kingfish caught sportfishing today. It was a helluva day at sea today with an awesome catch of kingfish, bonitos and a monster wahoo on our sportfishing charter. The kingfish and bonitos are all over the reef, every which way we turn we’re hooking into a mulitple fish at a time. Trolling is the best method of fishing this time of year to catch the most fish possible. It is a technique where the boat is moving the whole time and we drag a spread of lures behind the boat to look like a school of fish trying to escape. It allows us to cover a lot of territory on the water and cover the most ground possible. When you’re trolling, you never know what you’re going to catch. 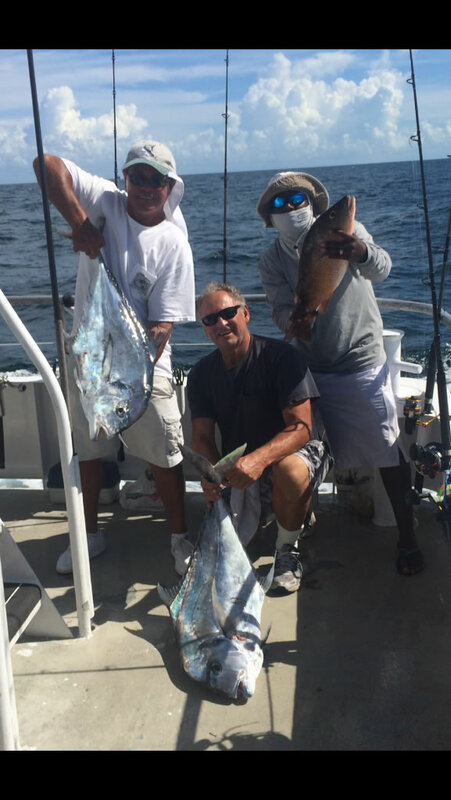 Bonitos, a 5-10 pound fish in the mackerel family, are biting great! They are the most aggressive and are out there in the largest numbers. Kingfish are starting to bite very good too. 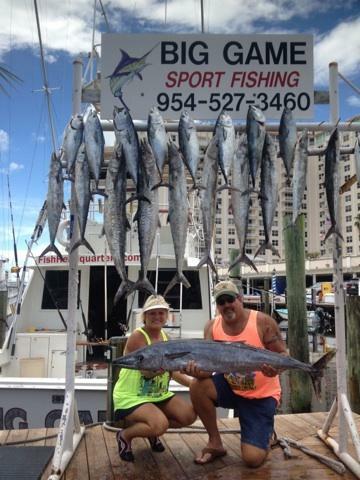 Kingfish have been almost non-existent this year and are just starting to show up for us. Last year, we had banner numbers of wahoo caught and the season is starting early. During the past few days, several wahoos have been caught including this monster 37 pounder shown in the photo. Wahoo were very active off our coast during the months of September through December last year. It’s good to see them beginning to bite so early. 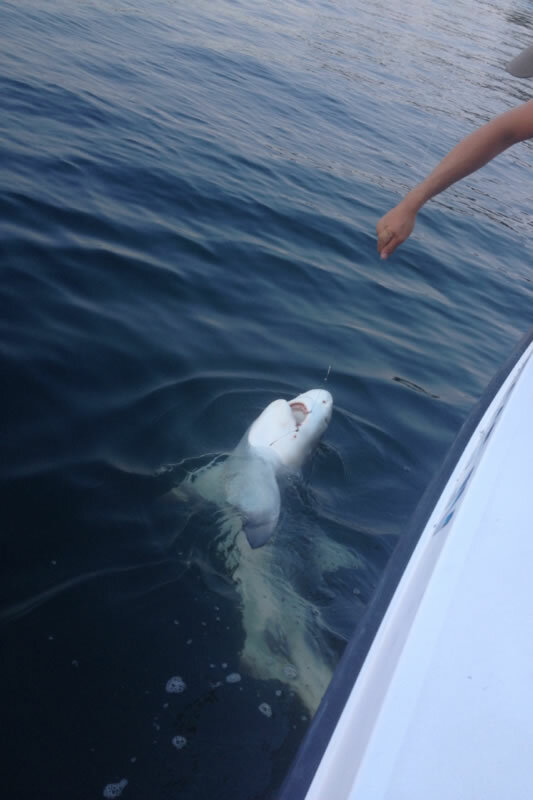 Our drift fishing trips are catching a lot of action out there too. This weeks catches have consisted of a lot of yellowtail, mangrove and mutton snappers, some nice kingfish, bonitos, a couple blackfin tunas and several very large African Pompanos. A bite this good can’t last for long. 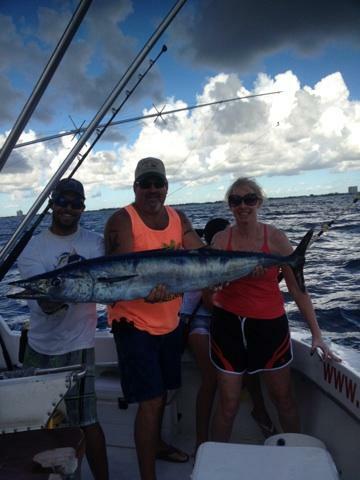 This is a great time to come fishing in Fort Lauderdale. So come out on the water and let’s go fishing!